General Services Administration – Washington, D.C. 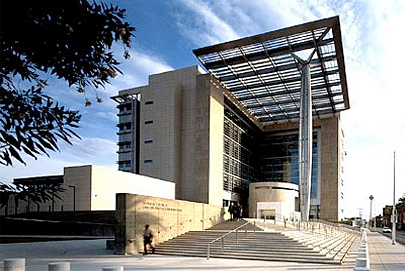 The Lloyd D. George Federal Courthouse was one of the first Courthouses to be constructed after the Oklahoma City Courthouse bombing. The design challenge for Langdon Wilson was to provide a “Blast-proof” building that was still open and friendly to the general public. With much research into existing technologies and practices as well as new and developing construction methods. The property for the project was donated by the City of Las Vegas, in an attempt to generate growth and redevelopment of the downtown area. “There is nothing that’s been done in recent years that is more important in terms of redevelopment”. Sen. Harry Reid. D-Nev. 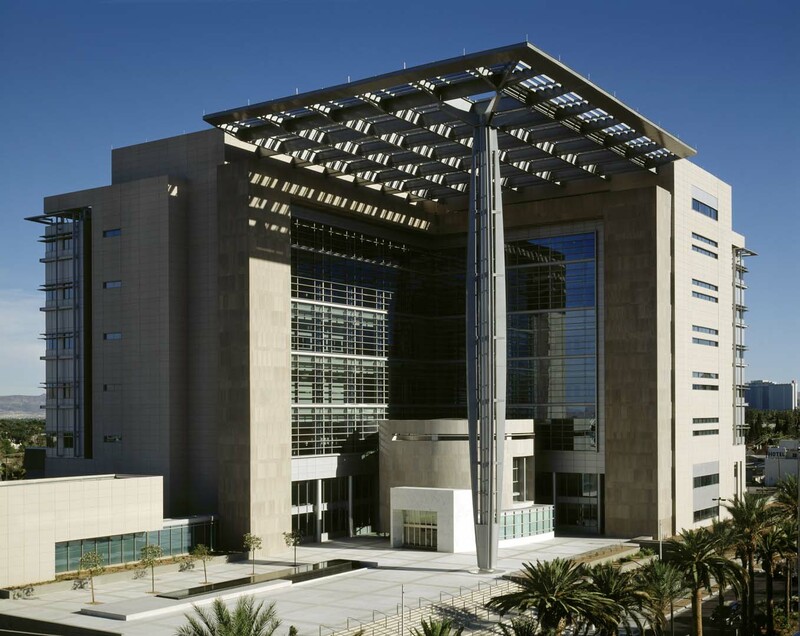 The eight-story 470,000 square foot building is home to the Federal Courts (ten court rooms), local U.S. Marshalls offices, the U.S. attorney general and the Nevada Congressional Delegation. The design challenges, as presented by U.S. District Judge Lloyd D. George, included, the building would provide a more comfortable experience, be aesthetically pleasing and be constructed with materials that would endure 100 years of use. 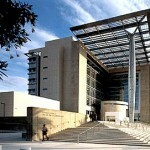 The completed design consisted of stone cladding both interior and exterior, interior stone paving, interior stone work counters, precast concrete panels, glass curtain wall and an expansive sunshade supported by a single large metal clad column. The final design included mechanically anchored, radius cut, interior and exterior limestone, interior mortar set paving, and interior adhered counter tops and facing. Due to costs and schedule time the limestone blocks were purchased in Indiana and shipped to Canada to be fabricated. The granite and marble were fabricated and shipped from Italy. The project, from bid time, required innovative thinking and cooperation from many players to not only provide the stone for a very tight budget, but also on time to meet an aggressive installation schedule. By purchasing blocks of Limestone in Indiana and shipping them to Canada, CSI was able to maintain both crucial elements and offer a savings of $250,000 to the owner. The building stands strong on the Las Vegas Strip and is iconic as the famous hotels and casinos that line this famous boulevard in Las Vegas.